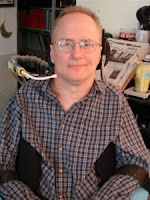 Euthanasia Prevention Coalition Euthanasia Prevention Coalition: People with disabilities comment on Me Before You. People with disabilities comment on Me Before You. Me Before You has become one of the controversial films of the decade, with protests, boycotts and many articles about the film. Not Dead Yet organized protests outside movie theaters, EPC asked its supporters to boycott the film in order to not give the makers of this movie our hard earned cash, nonetheless, the clearest voices have been disability leaders. The disability community is really worried about what this is going to say to a newly disabled person. 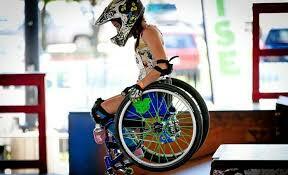 No one is disputing how vulnerable it can be to go from being able to move physically and suddenly being disabled. It is a huge transition, and that is why a lot of rehabilitation centers look for anxiety and depression, because those things need to be treated. If a person is non-disabled and they are suicidal, we do everything in our power to give them a reason to want to live. Why are we not seeing the same level of care and concern for disabled people? Why is it just accepted without question that disabled people should be allowed to kill themselves, and why is there this default belief that disability = suffering? We deserve just as much right to suicide prevention as any other person. When I was 19 years old because of years of systemic abuse and oppression which I endured from my family, my school, and my community as a disabled person, and as an LGBT person, I tried to kill myself. I am so grateful today that I did not make it through the process. I hear this over and over from my disabled friends who have tried to kill themselves. Many of us become depressed because of how we are treated by society, especially when it is our families, and other loved ones. That depression needs to be treated, and disabled people are not receiving that kind of care. Crippled Scholar has published a list of commentaries by the disability community concerning Me Before You. Legalizing euthanasia and assisted suicide creates a cultural paradigm - whereby some people are deemed worthy of life and others are deemed unworthy.